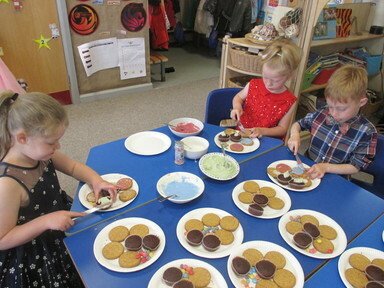 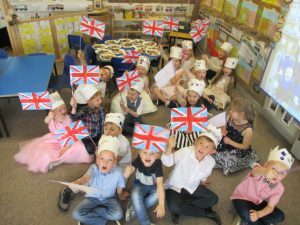 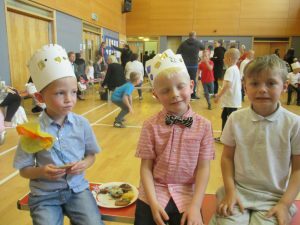 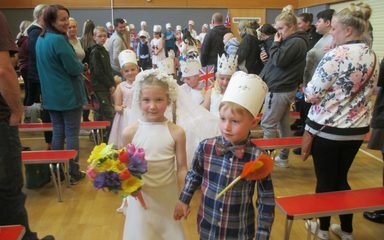 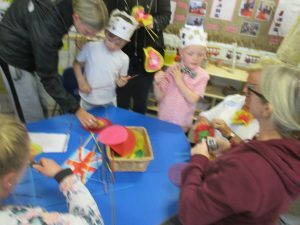 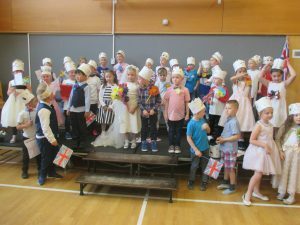 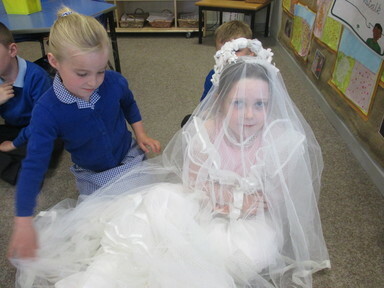 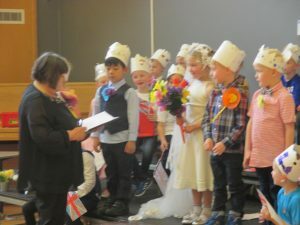 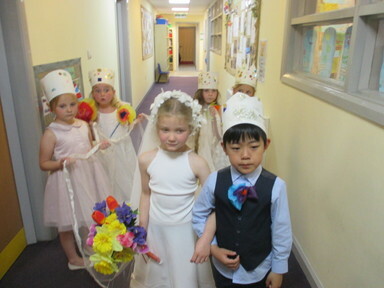 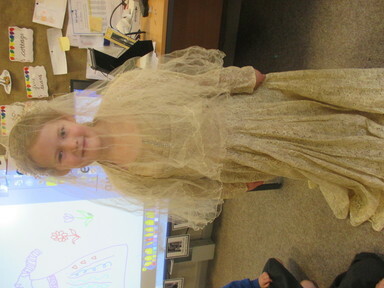 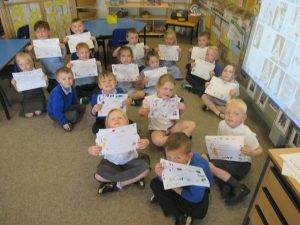 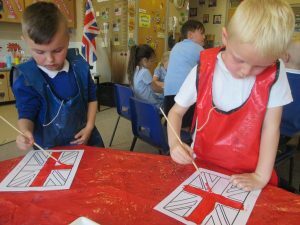 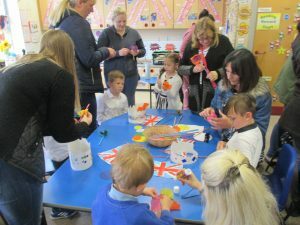 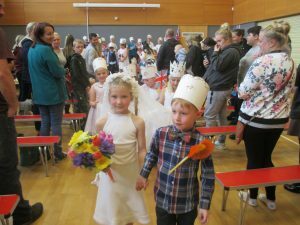 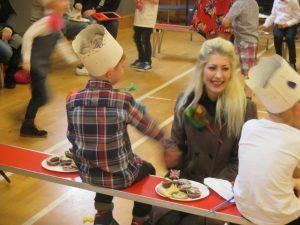 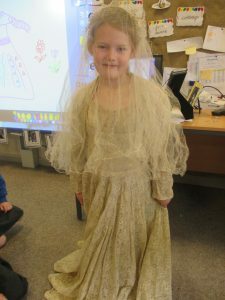 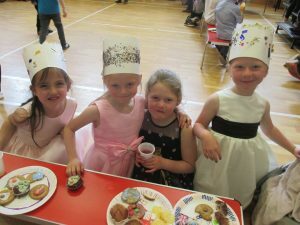 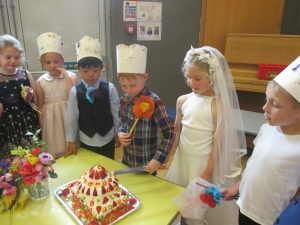 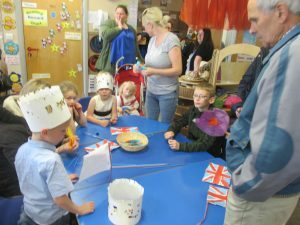 Year 1 children had a very busy week leading up to half term when we hosted our own royal wedding for our family and friends. 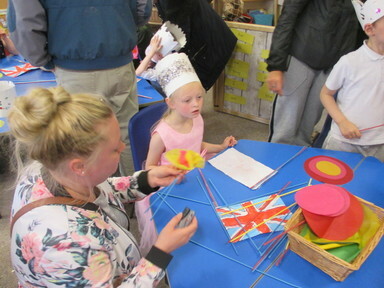 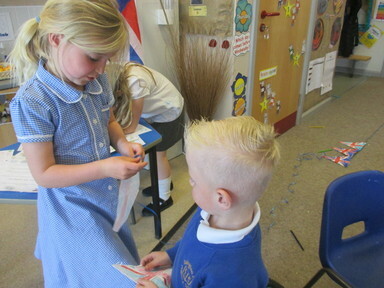 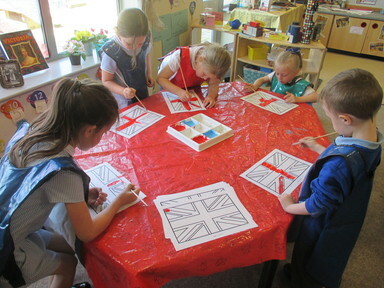 We made flags, bunting and crowns and our visitors helped make buttonholes for us all. After the service, led by our good friend Jean, we enjoyed the delicious party food we had prepared earlier, along with a magnificent cake made by our school cook!